Hi readers! If you're in the NYC area this August 19-20 I'll be tabling at Flame Con in Brooklyn! Here's a handy map to find me! 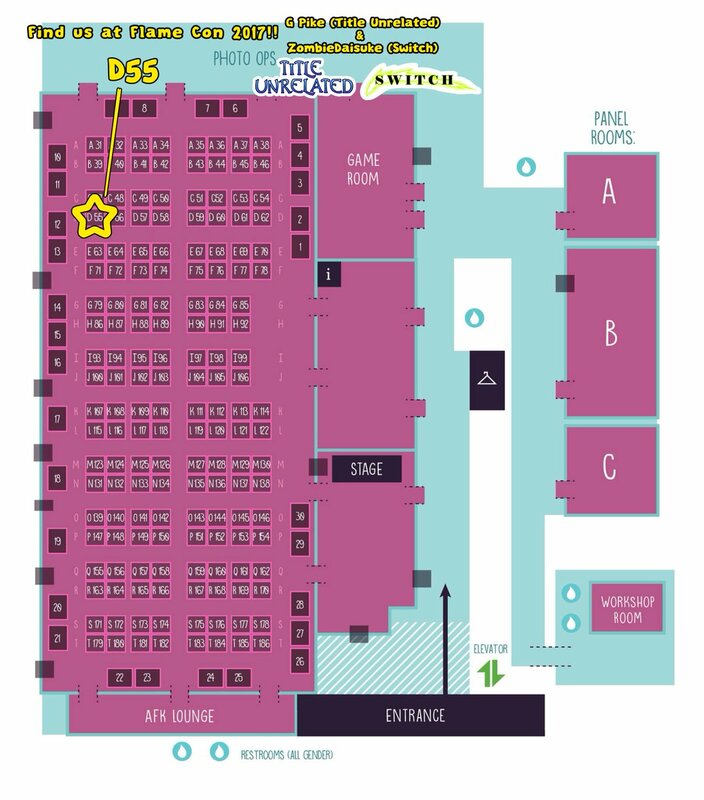 ZombieDaisuke, one of the creators of the comic Switch will be tabling with me, and there will be TONS of other awesome webcomic artists there too! Don't miss it! VOLUME 3, Indy Pop Con, and more! Hi readers! I'm still alive, now living in Colorado! I've got some NEWS!!! 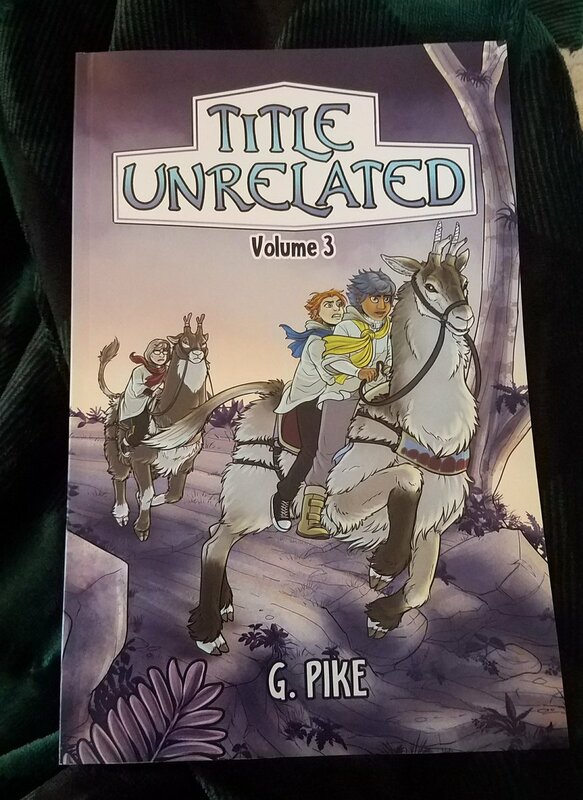 1) I just got copies of Title Unrelated Volume 3 from the printer and they're PERFECT! 2) I will be selling books and art at Indy PopCon in Indianapolis July 7-9! If you're in the area this is a great chance to pick up my books! 3) I've got the outline for Chapter 6 written and will start scripting ASAP! This is a big, climactic part of the story, so I wanna take the time to do it right! 4) Remember, you can see WIPS of upcoming pages, exclusive art, tutorials, and more at my PATREON PAGE! Hi readers! I know this has been a long break, but I just want to keep y'all up to date. I'm moving to another state, hopefully leaving May 17th. I plant to start working on TU Chapter 6 as soon as I'm settled in my new home! Meanwhile, here's a short video demonstrating how I paint a panel background! Enjoy! Twitter Contest + Indy Comic Con! Dear readers! 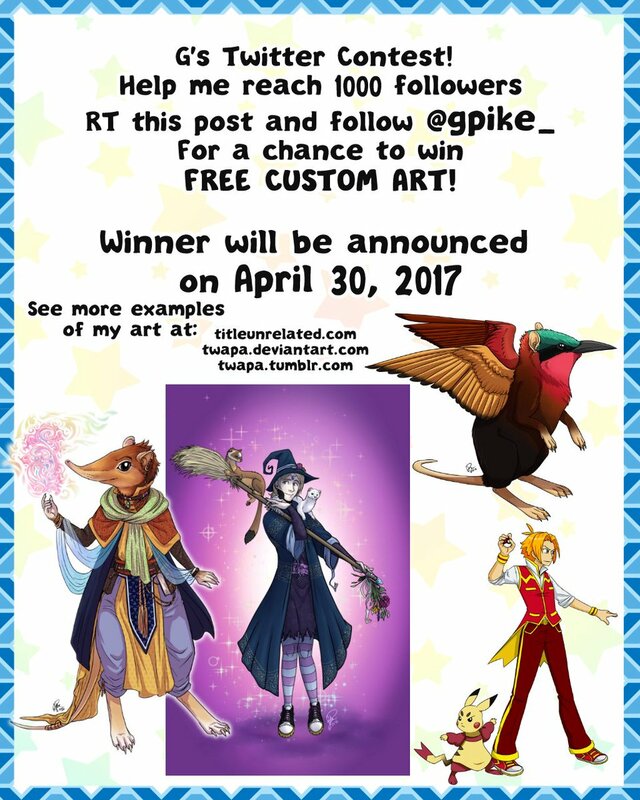 Want a chance to win some FREE, CUSTOM ART from ME? Head over to my twitter for details! I HIGHLY RECOMMEND following my Patreon for sketches, updates, and previews of stuff for Chapter 6 in the coming months, as well as other goodies! 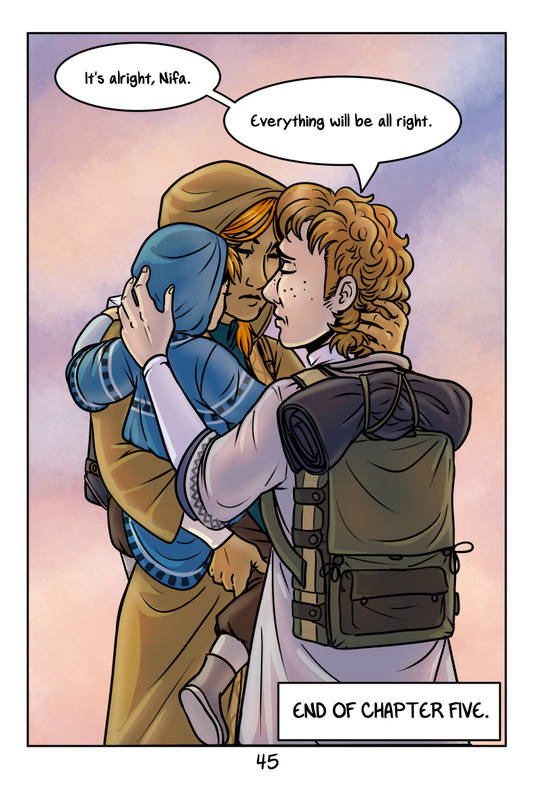 I'm not sure about the ETA for the next chapter, as I'm going to be moving (Yes, AGAIN) and finishing up some other stuff. But don't worry, when we get there, it'll be AWESOME. In other news, please check out author Jon Hakes on Patreon as well, when he reaches his goal of $110/month I'll be doing a small illustration for one of his stories! NEAT!